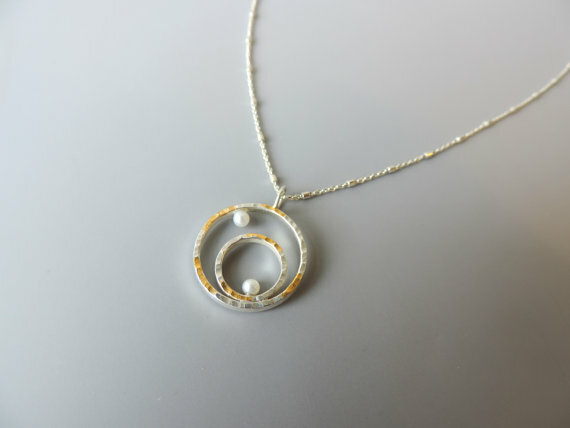 An elegant and unique mixed metal necklace. 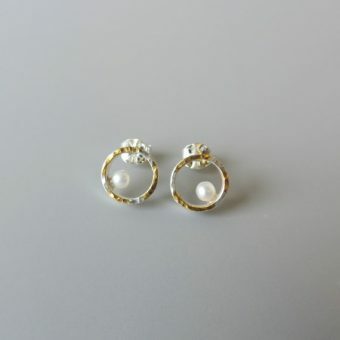 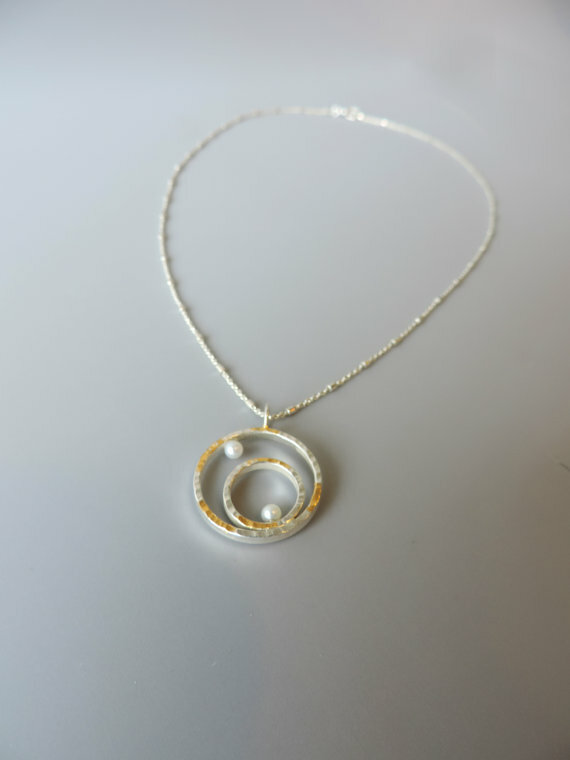 Made of sterling silver, 23.5k gold, and freshwater pearls. 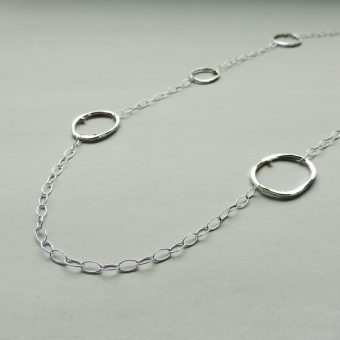 Hangs from an 18 inch chain. 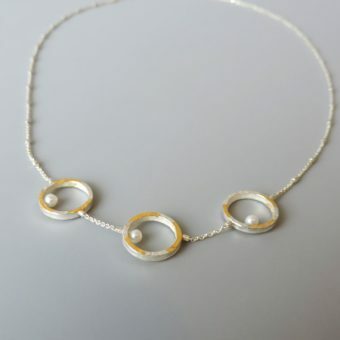 This necklace is truly elegant. 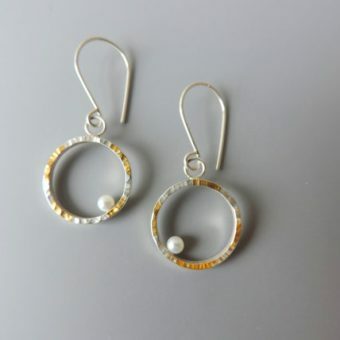 Perfect for transition from day to night. 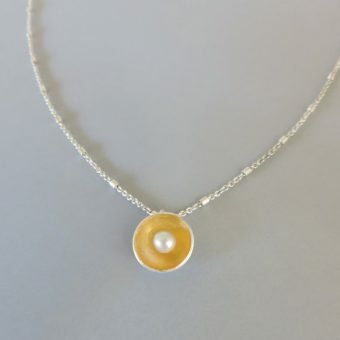 Made of sterling silver and 23.5k gold keum boo and freshwater pearls. 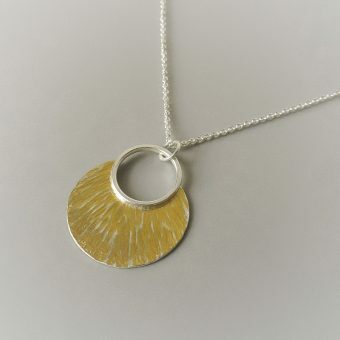 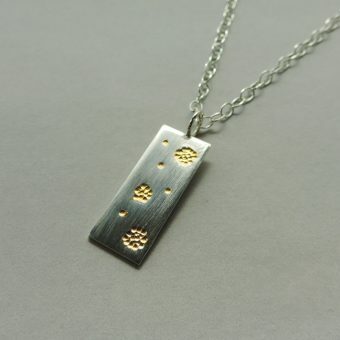 Measures: pendant is 1″ across on an 18 inch chain.